Mitch Duckler is managing partner of FullSurge. He brings over 25 years of line management and strategy consulting experience in leading complex engagements and overseeing client relationships. His areas of expertise include brand strategy, customer and consumer insights, and innovation. 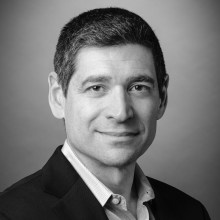 Prior to FullSurge, Mitch was a senior partner at Vivaldi Partners Group and a partner in the Chicago office of Prophet where he co-led the brand strategy practice area. He has successfully led engagements for Fortune 500 companies including Boeing, U.S. Cellular, Deloitte, Kellogg’s, Best Buy, Campbell’s Soup, NBC Universal, Wrigley, The Home Depot, General Electric, and ExxonMobil. He also worked for Kuczmarski & Associates where he led engagements that helped clients identify and commercialize new product opportunities. Mitch began his career in brand management at Unilever Home & Personal Care where he worked on category-leading personal care brands, such as Suave, Finesse, and Degree. He also worked for The Coca-Cola Company where he helped launch an in-house marketing consulting group that provides consumer and brand marketing consulting services to many of the company’s largest retail customers. Mitch is President-Elect of the Marketing Advisory Council of the American Marketing Association (AMA). He has also chaired the AMA’s Annual Marketing Conference for four consecutive years, and has been a featured speaker and workshop facilitator for the Association of National Advertisers (ANA), Institute for International Research (IIR), Product Development and Management Association (PDMA), International Association of Business Communicators (IABC), and Institute for the Study of Business Markets (ISBM). He has written articles on brand and marketing strategy for industry periodicals, including Brandweek, Marketing News, and Marketing Management. He has also guest lectured for Northwestern University’s Kellogg School of Management and Medill Integrated Marketing Communications. Mitch earned a B.S. in Business from the University of Minnesota and an M.B.A. from the University of Michigan.